So, watched Sherlock tonight (as I posted about our predicting earlier on facebook). Never during a show have I hated, loved, been defeated, recovered and almost been physically ill as much as I did during “His Last Vow”. I know some of you may think I’m being a tab hyperbolic, I’m not. I have only ever grasped my mouth with both my hands when Sirus died. I have only ever held backs gasps and angry outbursts the way I did, when David left Rose on the beach. I cried about as hard as I did when I found out that Tara doesn’t make it (still haven’t seen it and I won’t). I didn’t know a tv show could have caused the amount of emotion that I felt and that is still resonating through me. I don’t think I have ever posted about a television show and the way it effected me. This isn’t a significant post, this isn’t a rant, and this isn’t me almost burning down the house again because I decided to follow a recipe. 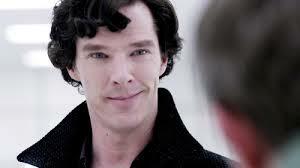 If you haven’t watched any of Sherlock, I think you should. Deep down, I really mean that.